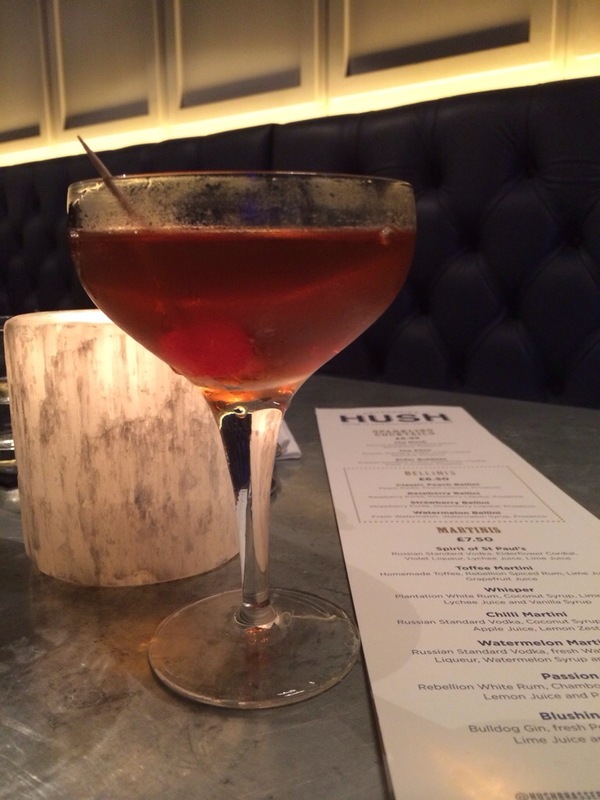 Dining and drinking solo at Hush, a restaurant in the shadow of St Paul’s Cathedral in London, was made less pathetic by ordering a duo of Manhattans. The first made with Buffalo Trace and the second with Wild Turkey 101. Firstly, the bartender made two identical drinks. Exactly as any classic cocktail book would instruct them to be made. There was no deviation from recipe tonight. So which did I like better? …. Oddly enough I thought the Buffalo Trace version tasted very … “normal”. It was exactly as it should have been made. It tasted exactly as it should have tasted… That is why tonight I chose the Wild Turkey 101 entry. It was remarkably bright. Incredibly smooth. Clean, even a little soapy ( in a good way somehow) with an after taste lingering of mild tobacco. Very nice, interestingly surprising.